Have you ever thought about cutting your hair short, maybe into a cute short little Cleopatra bob or a Twiggy short style? Have you tried to do so before, with disastrous consequences, and want to do your research properly before venturing into this potential minefield again? With short hair, it is especially important to ensure that the specific style you are choosing will flatter your face shape. It is when your style fails to flatter your face, or, even worse, actively accentuates less than perfect areas of your face, that you could possibly have a bonafide hair disaster! If you want a short haircut, it is advisable to discuss the options with your hairstylist, and ask whether the style you want is right for you. Remember that while it is true that hair grows back, it takes a long time to do so, and the shorter you go the more time it will take! It might be better to go shorter gradually. 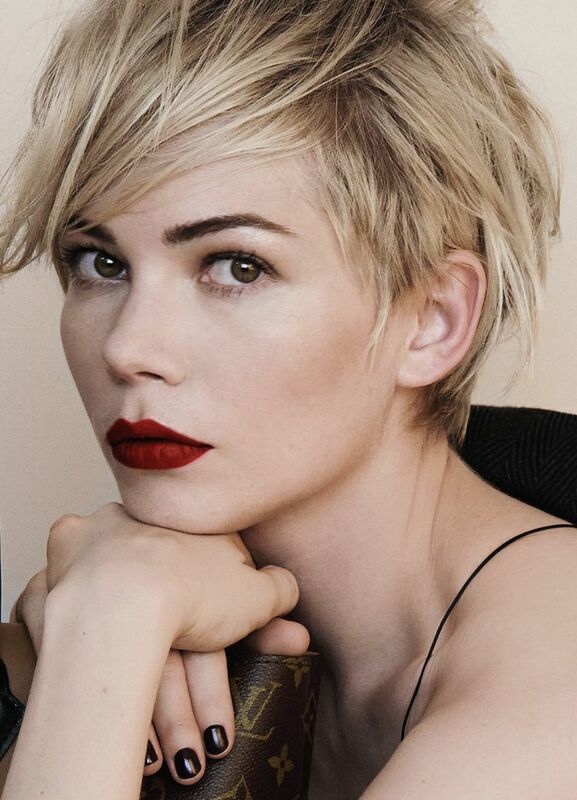 With all of that in mind, here is our list of today’s most popular short hairstyles! 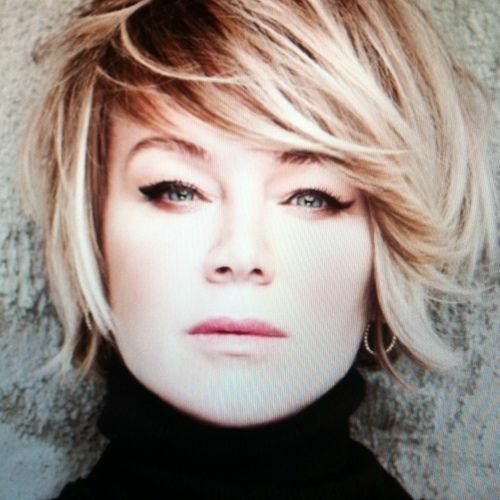 A wavy short bob is usually considered one of the safer bets when it comes to short hair. It can suit a larger range of face shapes, and it is more versatile than shorter hair, especially if you make sure that it will be long enough to manage to put your hair into a little ponytail. 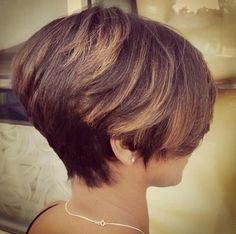 The pixie cut is very short, and is a cut that shouldn’t be rushed into. 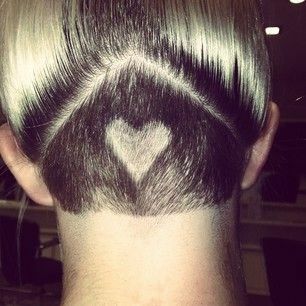 The pixie cut is generally best on heart-shaped and diamond-shaped faces, on people with delicate, small features. In most cases, it should be avoided if your face is at all heavy-set. 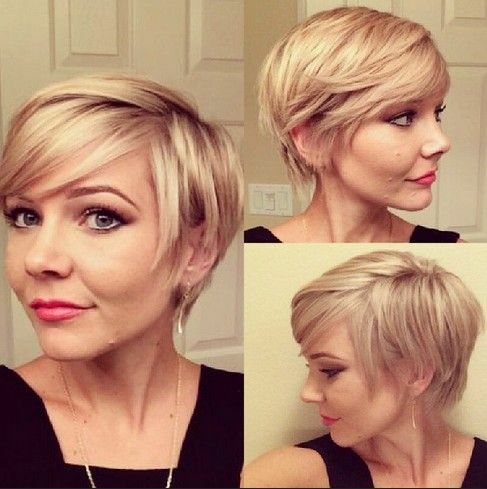 The trendy asymmetrical short cut is a trendy style that is not for the faint of heart! The presence of long, side-swept bangs softens the look. This daring cut is very modern while evoking the glamour of yesteryear with its deep side part. This is also a bit of an androgynous look, which can be very trendy. Like the pixie cut, this cut is best for women with delicate, small features. This short A-line bob is a classic look that harkens back to the 1920s flapper. It has a real air of sophistication. Very similar to longer versions of the pixie cut, this chic look is softened by the presence of long, side-swept bangs. The shortness in the back makes this style quite daring. If you have a long neck and high cheekbones, this style might be flattering on you. This deliberately messy look is modern and fashionable, and the length in the front softens the cut’s general shortness. This is an especially popular short style, as the feathering and flicks around the face soften the overall look, and can give a perky and lifted appearance to the face. This rounded style can be flattering on heart-shaped and diamond-shaped faces with high cheekbones and generally angular features. It should be avoided by anyone with a round face, as it will accentuate the roundness in a negative way, and the shortness, especially in the back, will be too severe. This look is very modern and youthful, and would be especially flattering on women with high cheekbones and a long neck. We think of Linda Evangelista when we look at this cut. This trendy, rounded hairstyle with wispy ends is better for those with angular features. It has a bit of 60s sweetness and sophistication. This style combines modern androgyny with classic 1930s movie star flair. Channel you inner Twiggy with this cute cut. This would look great combined with 60s style heavily rimmed eyes. This is definitely one of the most daring and androgynous styles out there. 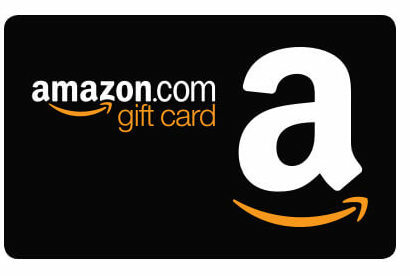 This is best for someone with a long neck and small features. The heart is optional! 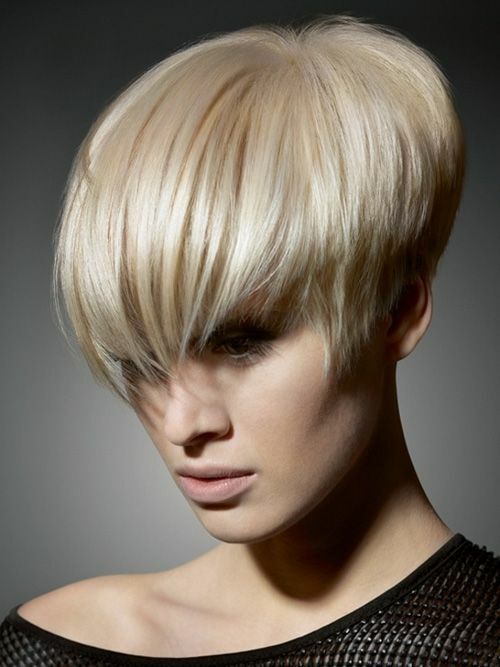 This short style has height on the top, which can help lift the features. This adorable style has softness and plenty of volume! This is a cute and sweet style, with a bit of a retro feel. This short and wavy style has a piecey and texturized look. This androgynous style adds interest with an ombre color pattern. This is a modern take on the mushroom cut. The general roundness of this cut probably makes it best for those with angular features.